A healthy diet is one that helps to maintain or improve overall health. A healthy diet contains a balance of food groups and all the nutrients necessary to promote good health. Healthy eating is the practice of making choices about what to eat and how much one eats with the intention of sustaining healthy living. Healthy diets provide the body with the essential nutrition; fluid; adequate essential amino acids from proteins, essential fatty acids, vitamins, minerals and adequate calories. Healthy diets also supports energy needs and provides for human nutrition without exposure to toxicity or excessive weight gain from consuming excessive amounts where the lack of calories is not an issue. A properly balanced diet(in addition exercise) also thought to be important for lowering healthy risks, such as obesity, heart disease, type2 diabetes, hypertension and cancer. The concept of healthy eating is primarily a problem in rich countries where the lifestyle includes, outdoor physical activities, high but not always high-quality food consumption and a trend towards industrially produced foods instead of locally-sourced and locally-prepared meals. 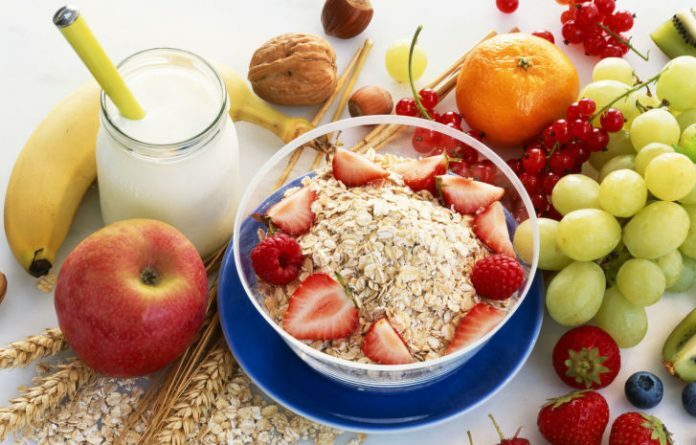 Moreover, various nutrition guides are published by medical and governmental institutions to educate the public health on what they should be eating to promote their health and also to sustain a healthy living. In some countries today, nutritional facts labels are also mandatory to allow consumers to choose between foods based on the component relevant to healthy which is considered to be very helpful as it can lead to sustainability of good health. •Eat roughly the same amount of calories that your body is using and maintain a healthy weight. •limit intake of fats and prefer unsaturated fats to saturated fats. -limit the intake of sugar. A 2003 WHO report commends less than 10 per cent of calorie intake from simple sugars. •Limit salt consumption from all sources and ensure that salt is iodized. •Essential micronutrients such as vitamins and certain minerals. •WHO also recommends an intake of less than five grams of salt per day for the prevention of cardiovascular disease. In addition to dietary recommendations for general population there are many specific diets that have primarily been developed to promote better health in specific population groups such as people with high blood pressure to people who are obese or overweight. In some cases of hypertension, a low diet is beneficial for people with high blood pressure. Low sodium has a useful effect to reduce high blood pressure, both in people with hypertension and in people with normal pressure. The consumption of nuts, whole grains, fish, poultry, fruits and vegetables should be encouraged while the consumption of red meats, sweets and sugar should be reduced.